A staple of Australian film and television for over 30 years, Janet Foye has been very blessed to work under the directorial lens of Philip Noyce in “Heatwave” (1982); Alex Proyas in “Knowing” (2009); George Miller on both “Babe” movies (1994, 1998). On the smaller screen, she held her own in guest roles against heavyweights John Wood on “Blue Heelers” (2001); comediennes Jane Turner and Gina Riley on “Kath & Kim”; heartthrob David Wenham and self-assured Sigrid Thornton on “SeaChange” (2000) and Ian Rawlings on “Sons and Daughters” (1982) as his bad boy’s therapist in one very memorable scene that was a little too intimate for her liking! 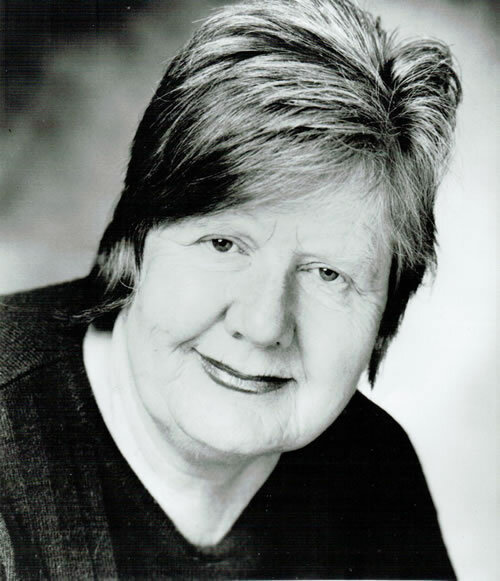 Janet, indeed, has played memorable exceedingly well in rural settings, having appeared in multiple arced episodes on “Bed of Roses” as a South Gippsland townsperson Lorna Lincoln who is an integral part of Kerry Armstrong’s character’s ‘new normal’; on “Something in the Air” (2000) whose town is revived by the preserving presence of a radio station, and on “A Country Practice” (1982-1990) whose personal relationships are as important as those of doctors and nurses’ with their patients. Such as is the breadth and depth of Janet’s career that it has taken her to play in many sandboxes of bogan satire, apocalyptic doom, unbelievable melodrama, quirky pastoralism, action with both fantastical and felonious elements and uplifting coping mechanisms in the face of grief and loss. Now Janet is about to enter the next and most exciting chapter of her life in Melbourne that she currently calls home.